NotRock Records: NR-012: The Whole Story. In 2003 the not rock tribe was drumming up songs and making records at a rate that rivaled the output of James Patterson's typewriter (with the difference being that the songs were actually worth listening to unlike those “novels”). John Fisher had a novel idea; “why don’t we all record christmas songs and put out a compilation? It’ll be like a gift to all the kids who’ve listened to and supported us.” Everyone loved the idea and committed to doing their part. That was the last I heard of it. John divulged to me that back in 2003 after the last of the christmas songs were handed in he compiled the master disc and hid it so that nobody would get a “sneak peak”. Problem was that he forgot where he had stashed it. So, for the past six years he’s been telling people it never happened because everybody else dropped the ball and failed to hand in songs. 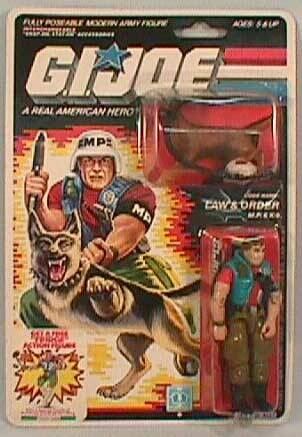 (Side Note: I started to think that he might have my 3 3/4” GI Joe LAW & ORDER: MP with K9 Dog and that I didn’t give it to Pat Helms like he’s been telling me since 1989). By December 2003 only Annoying Customer had handed in a holiday song for the compilation (which was purely coincidental because the song had been part of their back catalog for years). After the next couple of years went by without any other submissions John got embarrassed that the release he promised was being held up by means outside of his control. Now, what happened next might be somewhat difficult to swallow, but I am fairly certain that my dearest friend invented a time machine sometime in the middle of the decade and went into the future to gather songs for the compilation. He then went back to the year 2003 and put the finished cd in the warehouse in a place where he would be sure to find it; between the motorized Barbie horse and the my pet monster. Problem was that the 2003 version of him was much less interested in these things and it took until 2009 for him to stumble upon the envelope while looking for some hit-laden release from yesteryear for me. I know. I know . . . Why didn’t he just bring the songs back to the year in which he invented the time machine? Why didn’t he just retrieve it when he returned from hiding it in 2003? These are great questions but I don’t know the answers and I’m not one to speculate on things without hard evidence. And ultimately what does it matter to you anyway? You’ve got your compilation cd. I’m the only one that should be a little peeved. I mean, first of all my best friend invents a time machine and doesn’t even tell me about it no less take me with him, and secondly he’s probably got my gi-joe veiled up somewhere in that warehouse! It also has handmade diecut sleeves and is wrapped in a bow if those types of things should meet your fancy; and they should of course. The insert reads “Happy Holidays from the Not Rock Family”. Please take that for more than a phrase in passing. There is a real family behind these things and I am forever grateful to have it hold my heart. For a while now a dear friend has been promising me a copy of “A Christmas Gift for You from Phil Spector”, if you don’t have it I suggest you pick it up, but personally I don’t need it anymore. How could it top a christmas cd that has most of the folks I care greatly about in the world all singing their hearts out? wow, i feel like i went into a time machine just reading this post. 018 Insouciant, Circle Arrow E.P. 015 Graystone, Tunnel Light E.P. 011 Letterbox, Don't Wait For Tomorrow E.P. 003 Graystone, Trapped in Youth E.P. 002 Letterbox, Too Late for Sorry E.P. MYSTERIOUS LONG LOST NR-012 TO BE RELEASED!